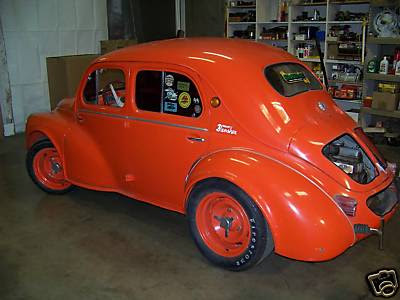 Just A Car Geek: 1959 Renault 4CV Vintage Race Car Gotta See This Freak! 1959 Renault 4CV Vintage Race Car Gotta See This Freak! The title of this post is lifted word for word from the title of the eBay listing... Yep, you really do "gotta see this freak". Freak or not, this is a cool old race car. Holy s*&t!!! I want this car!